The rally, held on the heels of Police Chief Kleibecker’s call for citizens to remain calm, was attended by over fifty local Black Foot Soldiers. Members passed out literature to others who watched. 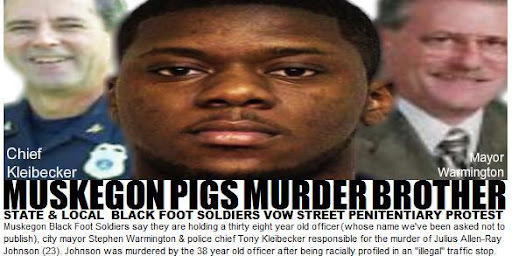 According to Soldiers, Johnson had been a target of local police and illegally held in their custody on more than one occasion.